Rescue is about the good, the bad, the ugly , the old, the deaf, and the blind. Today's mighty oak is yesterday's nut who stood its' ground. Those who can, do. Those who can't, Donate. All donations are welcomed and can be paid through PayPal or sent directly to our postal address below. 100% of all donations are applied to our vet fund. We also joyfully accept donations in the form of harnesses, leashes, sweaters and other doggie related items. If you would like your donation automatically paid via Paypal please choose your monthly donation through the drop down menu and then click on the Paypal button below. Paypal accepts all major credit cards. Many of our supporters prefer this option. 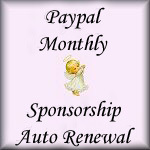 If you are currently sponsoring one of our precious fosters, and would like to have your monthly sponsorship automatically paid via Paypal, please click on the Paypal button below. Peke A Tzu Rescue would like to thank all that have helped our rescue rather it be via donations, sponsorship, online gift shop purchases, fostering, transporting, home visits, adopting, processing paperwork or any other service that has helped the pupsters. If you have contributed and we have missed you on our list please let us know so that we can acknowledge your kindness. 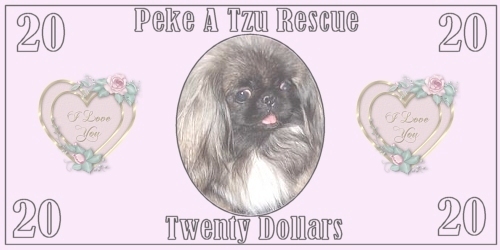 We would also like to thank Erin Fontana for the beautiful logo that she specially designed for Peke A Tzu Rescue. PATR gets a penny for every search you do! Click on Goodsearch above and type in Peke A Tzu Rescue as your charity. Save the link to use as your Search Engine. you can list Peke A Tzu Rescue as your charity and up to 30% of your total purchase will be donated to our rescue. 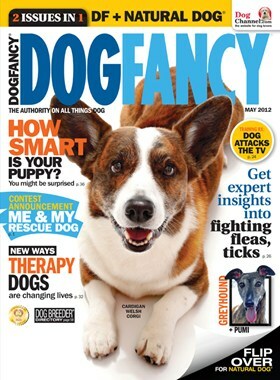 Another great way to help with the pupsters vetting costs is through our Magazine Fundraiser. 40% of your purchase will help the pupsters. Just click on the link below if you are interested in ordering your favorite magazine. In life, there is always someone that touches our heart and becomes a part of us forever. You can honor special congratulatory occasions such as birthdays, anniversaries, graduations and weddings by making a donation in tribute to your special person or furbaby. You can also make a donation in memory of those that you love - your family, your friends and your pets. Please indicate in the paypal comment section your tribute or memorial. Diane Banks in memory of Jane Oakley. Merry Christmas from Lizzy Mason in memory of her sweet Dylan. Joe Richardson in celebration of his Dad Harry's birthday. Teresa Zanan in memory of her beloved pet Foley. 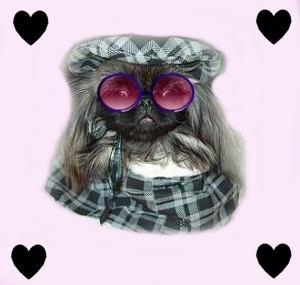 Copyright© 2004 - 2019, Peke A Tzu Rescue. All Rights Reserved.